On 05 October 2016, Formanites Computing Society arranged an Orientation ceremony for the freshmen who joined the Formanites’ family just recently. The purpose of this orientation session was to acquaint the new students with the faculty, staff and seniors. And also ensure that the Department of Computer Science at FCCU welcomed them with open hearts. A fair number of freshmen attended the session and the majority of the faculty was also present. The session started by introducing the department of Computer Sciences, FCS and faculty. Several esteemed members of the faculty also addressed the students and guided them on how to go forward and have a successful career as Computer Scientists. 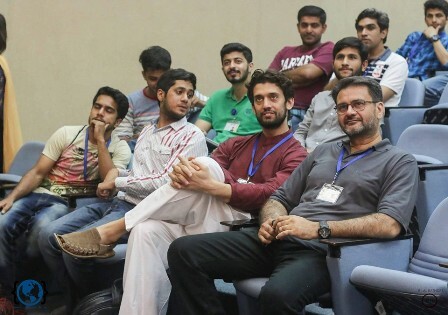 Head of Computer Sciences Department, Dr Atif Alvi, Dr Sarmad Abbasi and Dr Sarwan Abbasi were among the faculty members who gave a speech at the event. A motivational speech by a senior CS student Awais Khokhar proved to be a great help for new students. Moreover, a quiz competition continued throughout the event. Students were asked questions about popular movies and TV shows and were rewarded presents on giving the correct answers. It was a great experience for students as well as for faculty.